A legendary alumni network. Close-knit community. Outstanding business education. And a transparent, friendly admissions office. What more could you want? Not much really. All that (and more) is exactly what the Tuck School of Business is famous for. To learn more about this outstanding MBA program, we invited Dawna Clarke, Tuck’s Director of Admissions, to join us, dive deep into the Tuck admissions process, and explore the magic formula that produces the most passionate and generous MBA network out there. 00:02:33 – Tuck’s stand on GMAT vs GRE. 00:04:55 – True or False: Traditional MBA applicants should stick with the GMAT. 00:05:54 – The real difference between Early Action and later rounds? 00:09:00 – Whom the April application deadline is for. 00:09:47 – The journey of a submitted application. 00:14:34 – Feedback for rejected candidates. 00:18:57 – Why Tuck wants to meet you in person. 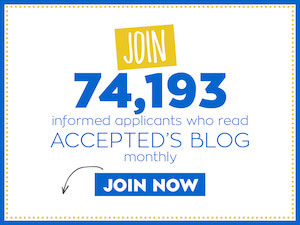 00:21:18 – What gets Dawna excited about an applicant. 00:26:58 – Passionate alumni: Why Tuck has a 70.9% alumni giving rate. 00:30:00 – Home Sweet Hanover: Cozy or confining? 00:39:01 – An inspiring new dean, Dr. Matt Slaughter. 00:41:52 – Parting words: Get in touch!